Training teenagers how to empathise with video games. Learn how immersive video games can train empathy in teenagers in our new research article published by npj Science of Learning. We are delighted at the interest of the Nature team in knowing more about our research article: "Neural correlates of video game empathy training in adolescents: a randomized trial.” My colleagues, Diane Stodola, Rasmus Birn, Jeanette Mumford, Enrique Solis, Lisa Flook, Elena Patsenko, Craig Anderson, Constance Steinkuehler, Richard Davidson and myself are based at the University of Wisconsin in Madison, America and pleased to share the following responses. 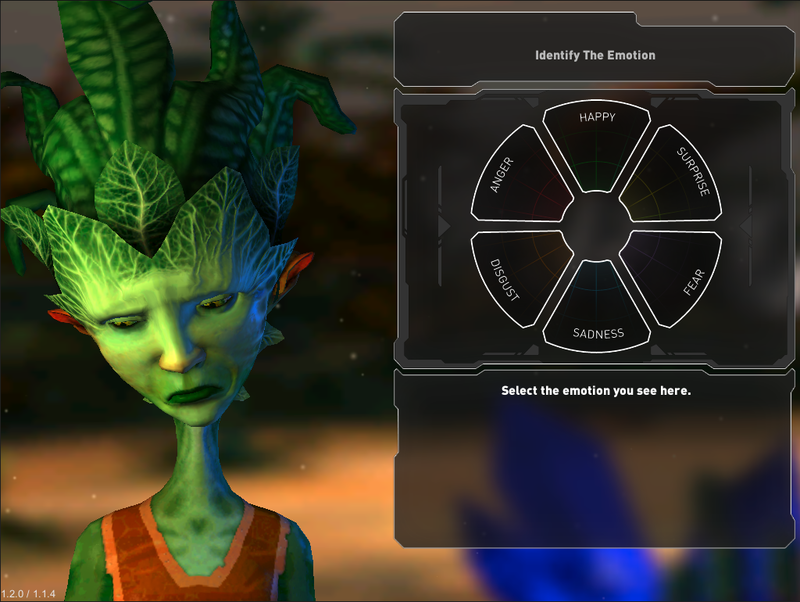 The aim of our research was to develop an immersive video game to train empathy in teenagers, and to test the effects of such video game empathy training on the brain and behavior through rigorous research. Why did you decide to use video games to measure empathy in adolescents? We developed a novel video game for training empathy in adolescents, because video games are popular and engaging to adolescents and provide a potential avenue to deliver training on a large scale. Video games also offer opportunities for modeling and rehearsing skills in ways that have been shown to enable learning, and thus may be an ideal platform to deliver training to children in this age group. We used a well-established “empathetic accuracy” task to measure the impact of video game training on empathy. How long did it take to develop Crystals of Kaydor? It sounds like a research project of its own. The development of Crystals of Kaydor took approximately a year and a half to create and develop as part of a grant funded by the Bill & Melinda Gates Foundation to develop and test a pro-social video game for adolescents. The timeline for game development and testing was ambitious, which we were able to accomplish through a collaborative effort between researchers and educational game designers at UW–Madison. The development of the game included play-testing where kids played early versions of the game and provided feedback to researchers and developers, which we used to improve the game. It was important to develop a game that teenagers would enjoy playing and want to pick up and play on their own. Crystals of Kaydor Video Game Image provided by Tammi Kral. Did you notice a difference in popularity with the video games? And was this evident in the neural activity of participants? There were differences among children in the extent to which they played the game. Some of the metrics of game engagement were related to changes in brain function produced by the game. In this study we found that the empathy training game Crystals of Kaydor increased connectivity of brain networks that are important for the ability to empathize, specifically for taking the perspective of another person. The more volunteers in the study used the empathy training aspects of Crystals of Kaydor, the better their ability was to empathize when engaging these brain networks. Additionally, the more volunteers increased in their empathetic ability, the larger the increase in connectivity of the brain network that is important for regulating emotion. The ability to regulate emotions is important when empathizing, which can entail experiencing emotions at a range of intensities. Are you going to develop similar video games to measure neural activity of other emotional responses? The use of video games to arouse different forms of emotion, particularly in children, is very promising as a research tool. We can envision using games for these purposes in the future. Our Center, the Center for Healthy Minds, is dedicated to cultivating well-being and relieving suffering through a scientific understanding of the mind. One of the most effective and powerful strategies for cultivating well-being is through generosity, compassion and prosocial behavior. Expressing compassion in response to another’s suffering or providing direct help to a person in need, first requires the detection of suffering, and this requires empathy. In this way, empathy is an important skill for well-being, and particularly so during the teenage years when the ability to empathize and express compassion can offset the negative impact of bullying and facilitate social connections that protect teenagers from stress. Many people first experience serious mental illness during this developmental period, which further underscores the need for skills such as empathy to bolster well-being. Since teenagers seek independence in making choices, offering training in an engaging medium such as a video game, provides an avenue for training empathy that may be not only accepted but embraced by teenagers. How does neuroscience benefit from this type of study? This study benefits the field of neuroscience by demonstrating the ability to alter relevant brain networks related to empathetic behavior with a video game in a relatively short training period. Do you think smart devices in education, work and play environments are affecting the development of the mind? Digital devices are clearly impacting our education, work lives and leisure time in ways never before seen in human history. We believe the devices themselves are neutral and they can be used in ways that can promote human flourishing but also in ways that can be harmful and add to the stress of everyday life. Since this technology is here to stay, our goal in this work has been to harness the technology and determine if we can use it for the good to develop prosocial characteristics in teenagers. We are of the view our findings demonstrate this is indeed possible. What is the future for the field (e.g. university curricula, advances in research, evidence-based policy)? With the very widespread use of mobile digital devices, we have an opportunity for developing games to both cultivate and measure well-being at scale in different age groups. Just as precision medicine is gaining traction to deploy individually tailored treatment regimens for different physical illnesses, with the possibility of mobile digital devices for both assessment and intervention, there is a possibility of developing individualized intervention strategies based on the cognitive and emotional styles of the users. Mathematical ability not limited by gender.